She never saw it coming! Sandy Beach...they don't call it "Broke-neck Beach" for nothing. Sandy Beach is a beach on the South Shore of Oʻahu in Hawaiʻi. It is known for its excellent bodyboarding and bodysurfing opportunities due to shore break that breaks very close to the shore, and consistent barrels all along the beach. Consequently, more injuries occur per year at Sandy Beach than any other beach in Hawaiiʻi, earning it the infamous nickname, "broke-neck" beach. The water is especially dangerous during high surf, when strong rip currents are present. The beach park is located between Hanauma Bay Nature Preserve Park on the west and Makapuʻu Point. 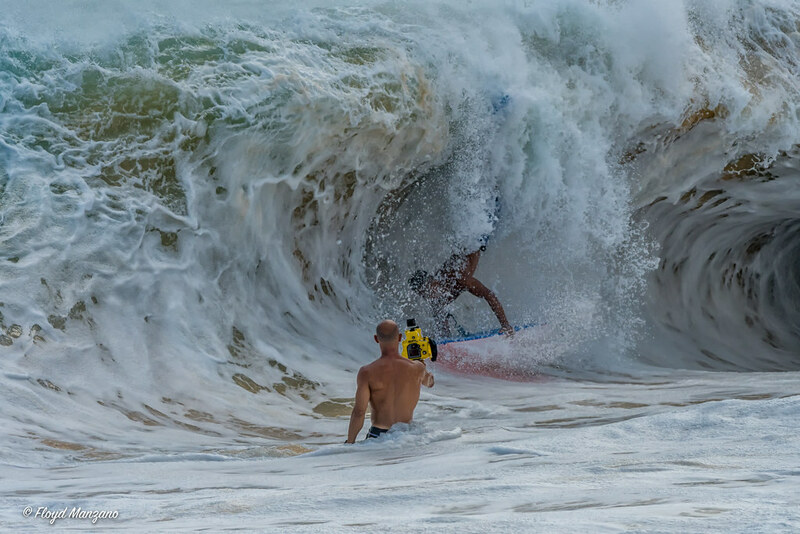 Both body boarder and photog gonna get rolled! Never came out of the game!